Today’s drug store looks nothing like the drug store of your parents’ youth. Once upon a time, I was able to have neighborly banter with Stan, the local pharmacist, who greeted me warmly and actually knew all about me. Stan freely handed out community news, bad jokes and even a bit of innocuous gossip along with my prescription. Now I get it, things change, and I’m OK without Stan, but as both a consumer and a consultant, I wonder if the changes are for the better. Today’s drug store, if the word even applies anymore, is an eclectic assortment of allergy medications, cleaning products, packaged food and beverages, candy, “As Seen on TV” gadgets, toys, beauty, you name it. The operative idea is to create a one-stop shop for all things you need (and perhaps some that you don’t). The only item you can’t get these days in most drug stores? A personal relationship with your pharmacist. The progression from mom-and-pop shops to mass chain stores has been the catalyst for the sector’s evolution. However, it’s important to examine the ways this has affected consumers. After all, the entire industry is working hard to leverage size, capture more market share and slash costs. The growing impact of Big Pharma, Big Insurance and Big Government complicates things further. In such a complex and hypercompetitive sector, it’s easy to understand why companies are relentless about efficiency, with innovation supporting the needs of businesses but, unfortunately, not entirely helping the consumer. Thus, the myriad products overflowing from your neighborhood drug store’s shelves. No wonder Stan can’t provide a personal touch — he’s got quotas to fill and lines of folks at the drive-through. While this is the status quo, it doesn’t wholly feel right. With the current drug store landscape, consumers inadvertently don’t get to reap as many personal benefits as they should, even while these changes have rewarded them in other ways, such as driving prices down. In these times of increasing globalization, digital dependency, limitless choice and changing generation ratios, it is imperative that drug stores see through a more human lens as they seek to innovate in consumer care. In order to resonate with the consumer nowadays, the sector must break out of industry or category norms on product, service and experience. Today’s consumers, with their endless options, have the opportunity to be discerning about who they give their attention and money to. In our current era of e-health insurance (Oscar), medicine delivered straight to your door (Capsule) and even Amazon-created vitamins (Amazon Elements), what should the role of the “drug store” be? And can Big Drug Retail drive that? At CBX, our work is at the intersection of consumer, channel and manufacturer. Our mantra “Connecting to the lives of people is what matters most” is intended to ensure that we, and our clients, seek the highest order of human-centric connectivity. The metric of money is always present, but the philosophy focuses on strategies that will derive long-term benefits while delivering against short-term realities. For example, in the U.S. every year, countless prescriptions written by doctors are not filled by patients. Clearly, these patients are neither utilizing the current system nor benefiting from it. This also puts added strain on other health care providers, who now have to potentially care for these noncompliant patients. It puts pressure on the government, which is part of the financial infrastructure of the health care industry. And the manufacturers, wholesalers and retailers don’t receive the revenue. Drug stores should be seeking to innovate to close this gap. Can they partner with the government, insurance companies and pharma to provide better education? Can they use technology to create better consumer relationships? Can they personalize their approaches? For instance, Merck recently partnered with Amazon to explore opportunities to better care for diabetes patients through the Echo platform. I won’t listen to my doctor or my wife, but maybe I’ll listen to Alexa! What else could we do if we took a “human first” approach in which drug stores didn’t just provide choice but also provided real guidance — the kind of empathic help that actually means something to consumers/patients? To date, drug stores have made halting steps, such as administering vaccines, to shift more toward a provider model. This model can and should expand, and it is helping move the industry in the right direction. Consider the Pharmacy and Medically Underserved Areas Enhancement Act (H.R. 592 and S. 109). This pending legislation would enable pharmacists to receive reimbursements for providing Medicare patients in underserved areas access to services such as diabetes, asthma and heart disease management; immunizations; wellness/prevention testing, and education about prescription drugs. If the bill becomes law, it will be a big step toward stronger patient-pharmacist relationships. Along the same lines, another vision for the future is the drug store as a “life science center” — a resource for educating people about disease states and trends, and potential solutions; preventive choices and activities; therapy and therapeutic centers; navigating insurance and government processes; and cutting-edge, self-diagnostic resources/solutions. As a traffic driver, this could be a far stronger footing than, say, a two-for-one deal on Lay’s potato chips. What’s more, you cannot discount the value of the patient experience, particularly in the ways in which patients choose to interact with everything these days digitally. We can universally acknowledge that the number of consumers utilizing digital tools — whether it be accessing their medical records or managing their health via wearables and apps — continues to rise. As technology increasingly and seamlessly integrates into people’s lives, the opportunity for the drug store industry is to lean on this newfound tech familiarity/dependency. Recently, Sam’s Club partnered with the health technology company higi to offer self-service health screening stations at Sam’s Club locations with a pharmacy. The digitally enabled self-care approach is on a par with the growing trend toward values centered on health and wellness. As consumers take increasing interest and ownership of their health, drug chains should look to how they could utilize technology (particularly in mobile) to enhance the in-store experience as well as be a continued presence and asset post visit. The drug store of the future/ drug store of the now will not appear overnight; rather, it will gradually evolve. Regulatory requirements and the current infrastructure may need to change, but Big Drug Retail certainly has the leverage to continue to innovate in ways that prioritize on the health, well-being and satisfaction of customers. Even in the short term, there are opportunities to create better experiences and, ultimately, higher revenue streams. As in most industries, the question remains whether chain drug retailers have the wherewithal to disrupt themselves or wait for others to. I believe that Big Drug Retail has the wherewithal to do just that. Hear that, Amazon? 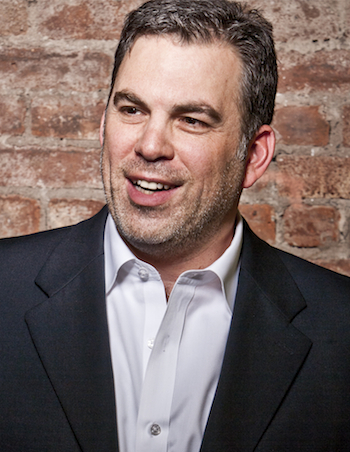 Gregg Lipman is managing partner at CBX, a global branding agency and retail design consultancy. He can be contacted at gregg@cbx.com.